eXert FAS EXert FAS Plans, directs, and coordinates accounts, investments, segment issues, tracings, reporting, and other financial activities of a location, office or a region of an establishment. eXert FAS encompasses full range of organization’s finances by defining sequence of steps. The term "eXert" means that this approach to financial management has a long-term horizon. A Small and medium enterprise to a multi department enterprise with huge infrastructure entirely depend on an ERP for processing, maintaining and auditing their financial status and structure. eXert FAS is one of a kind programmed system to achieve financial due diligence and controls. eXert FAS processes, maintains and audits the financial status and structure of an organization. eXert FAS sets objectives, identifies resources, analyzes data and makes financial decisions to track the variance between actual and targeted result. eXert FAS is built for small, medium and multi branch/department enterprise. Generally accepted accounting principles (GAAP) and International Financial Reporting Standards (IFRS) compliant. Assistant approach towards financial decisions. eXert FAS Estimates finance utilization by mobilizing financial resources and capabilities. 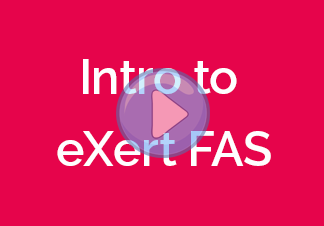 eXert FAS has a user friendly interface. eXert FAS increases efficiency by maintaining cash flow. eXert FAS reduces operational risk by maintaining financial discipline. 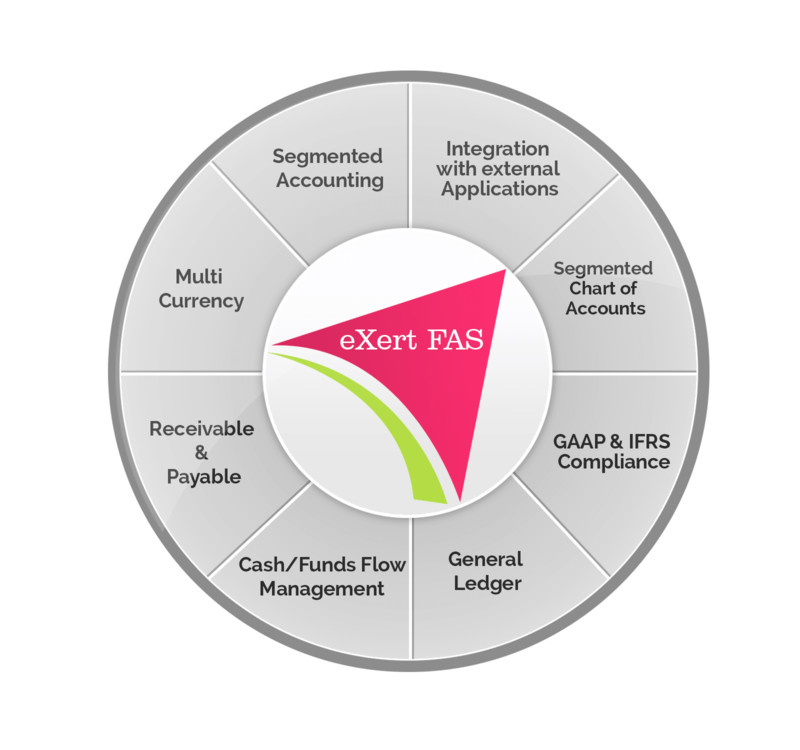 eXert FAS maximizes organization benefit by integrating different modules of multi-branch accounts. eXert FAS provides specialized reports and level wise charts for organization’s accounts. eXert FAS sets process based- run time controls by Identifying segments which ultimately provide an ease in data analysis. Making financial decisions becomes a click of a button through comparative research based on MIS reports by eXert FAS. Provides management with enhanced features to organize and manage the data. Enhances quality through modeling the financial details. Integrated Architecture For Financial Management. New User Experience with Web-Based Synchronization. Maintains multi-level chart of account. Integer, fraction, date, selection etc. Credit Limit check by Amount/Aging of due-bills/approved sales orders.